Ahoy friends! 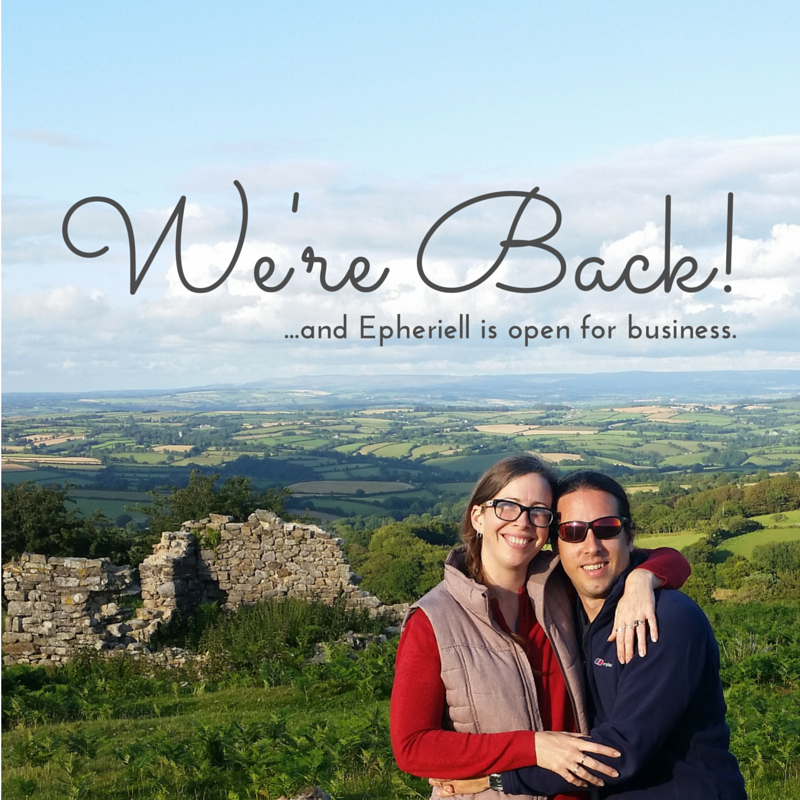 Nick and I are BACK from our epic 3-month sabbatical – and are we ever excited to get making again! We had an amazing trip – venturing all over England (with a brief visit to Wales to visit the Doctor Who Experience – total nerd win!) as well as travelling for a few weeks in Europe – the highlights being Amsterdam, Eindhoven to visit some of my distant family, and a visit to my Aunt and Uncle’s picturesque French village. I’ve got some new design ideas in the works – things I’m excited to start bringing to life in Silver. Speaking of bringing to life – we’re also throwing ourselves into re-establishing our veggie garden, since we don’t have any more long-term travel on the cards until 2017. As much as we loved our adventure, we are so happy to be home – to sleep in our own bed, hug our kitties, have tea with my folks, and wake up to the birdsong and view from our bedroom out across the garden and paddock each morning – with nary another human in sight. I think the saying is true – you can travel the world, have life-changing experiences, and enjoy it immensely… but there truly is no place like home. For those of you who’ve been following our journey on instagram – thank you for keeping us company! In other news – the time has come for us to do an overhaul of our prices. Because we love you guys, we wanted to give you plenty of notice – especially if you’ve been hanging out, waiting to order from us when we re-opened. SO! The current prices are staying put for another 2 weeks – but as of October 5th, we’ll be starting on our pricing overhaul. And yes – by overhaul, I mean that most of our prices will be going up. We haven’t changed our prices in a few years, and it’s time to take a good hard look at them and ensure our prices are where we need them to be for the sustainability of our business into the future. Long story short – if you want to order something at the current price, get in before October 5th!